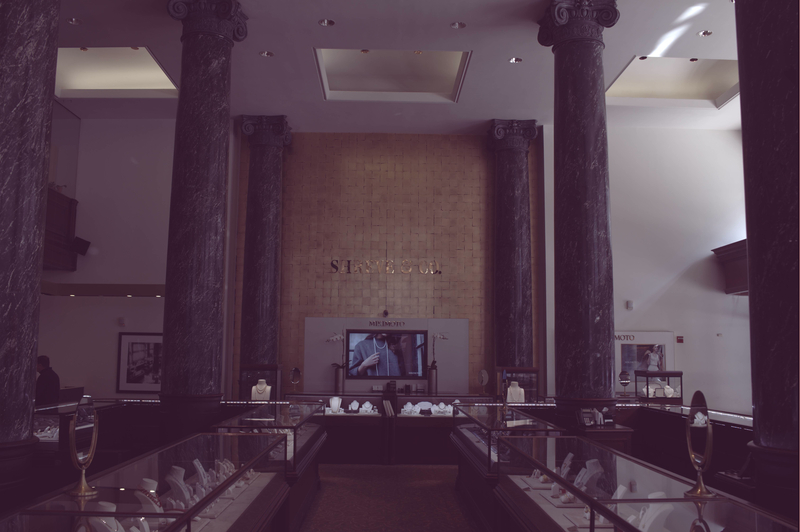 Marble columns dominate the hushed space of Shreve’s regal downtown San Francisco headquarters, the jewelry always the star of the showroom. Spoiler alert: Shreve & Co. is one of the many fine establishments I write about in my book, Discovering Vintage San Francisco (again, due out later this summer; preorder it now). And I give you this tip now because the company is in the news. After more than a century and a half anchoring the corner of Post and Grant streets in San Francisco, the longstanding luxury jeweler that has adorned the fingers and necks and wrists and ears of the city’s most elite citizens is vacating its iconic headquarters and moving down the street. It’s a forcible move, set in motion by the oft evil forces of the modern real estate market, and it’s shocking to see it happen to such a stalwart of the city’s retail landscape. While the move is just that – a move – and the company is not closing its doors forever, it is unnerving to see how a business so strong, one that survived the 1906 earthquake that razed the city, one that has been such a part of San Francisco practically since the birth of the city itself, can fall victim to the skyrocketing rent battles that have plagued the town and pushed so many other businesses and residents out of town, if not out of business altogether. It makes me worry about how the smaller, less flashy but no less important to the city’s history, family-run businesses also featured in the book will ultimately fare in this vicious era of development and impossible fortunes made on the sale or rent-jacking of old buildings. 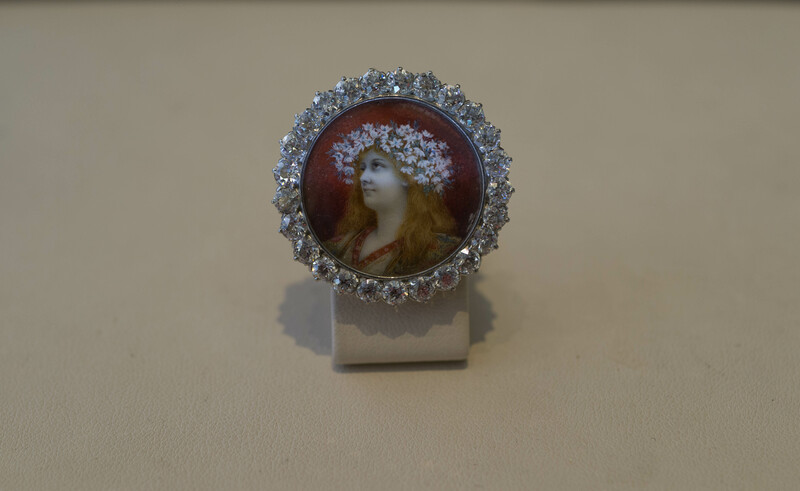 This exquisite brooch is in Shreve’s estate collection, housed for a few more days at 200 Post Street. In preparation for its move, Shreve is having a rare sale, dramatically discounting its gems and incredible baubles, some by an unbelievable 70 percent off. If you have the cash, it seems a fine time to buy something sparkly. But even if you don’t, it is an opportunity to marvel for the last time at the grand, marble column-flanked space at 200 Post that has housed these precious pieces for so long.